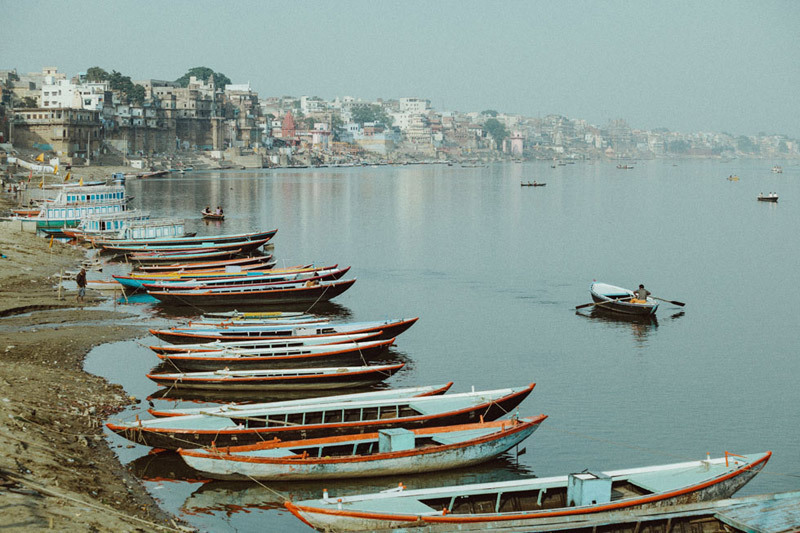 Varanasi, a holy city to Hindus and Buddhists alike, is situated at the far eastern tip of Uttar Pradesh, just off the bank of the Ganga River. 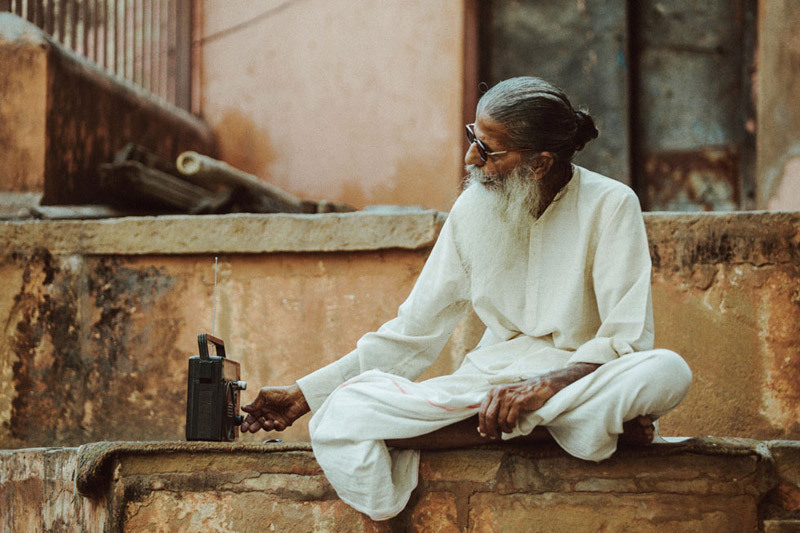 The “Old City,” a quarter near the banks of the Ganga, has crowded and narrow winding lanes flanked by roadside shops and scores of Hindu temples. 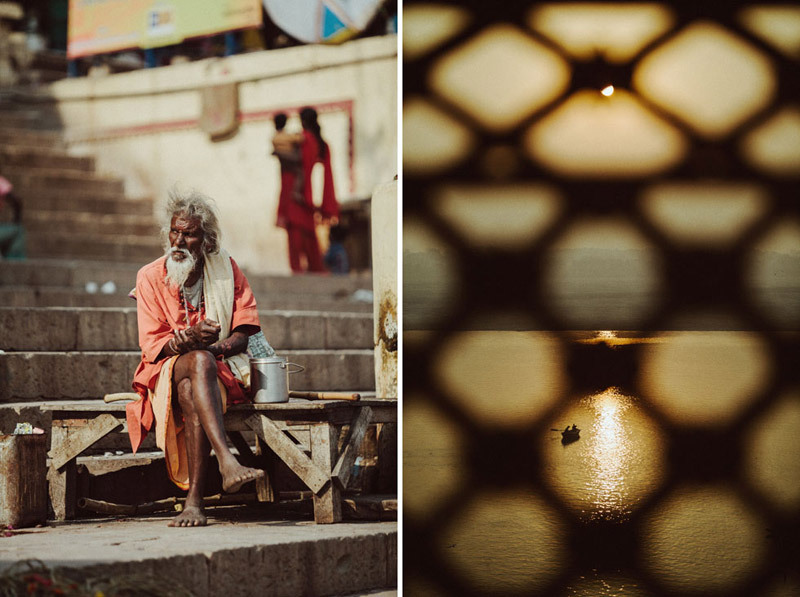 Varanasi’s labyrinthe Old City is rich with culture and as confusing as it is beautiful; but getting lost makes for an adventure waiting within. 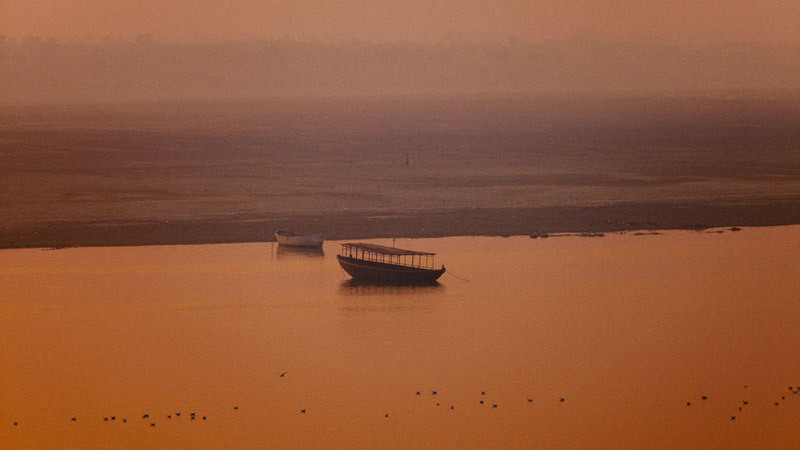 Along the bank where the Ganga river meets the city there are nearly 100 ghats (stairways leading to water). Most are bathing ghats, while others are used as cremation sites; regardless, all are associated with legends or mythologies of some sort. 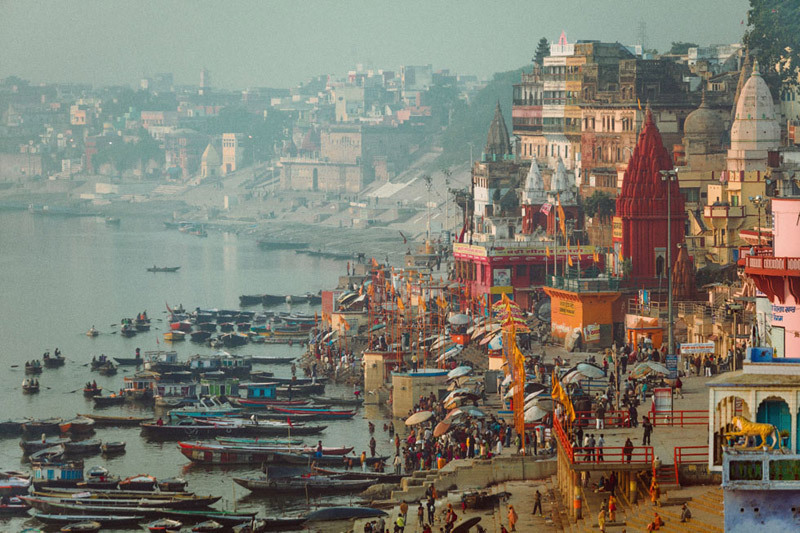 Dashashwamedh Ghat is located close to Vishwanath Temple, and is probably the most spectacular of the ghats. Every night a Hindu ceremony called the Ganga Aarti takes place during which light from wicks soaked in ghee (purified butter) or camphor is offered to one or more deities. 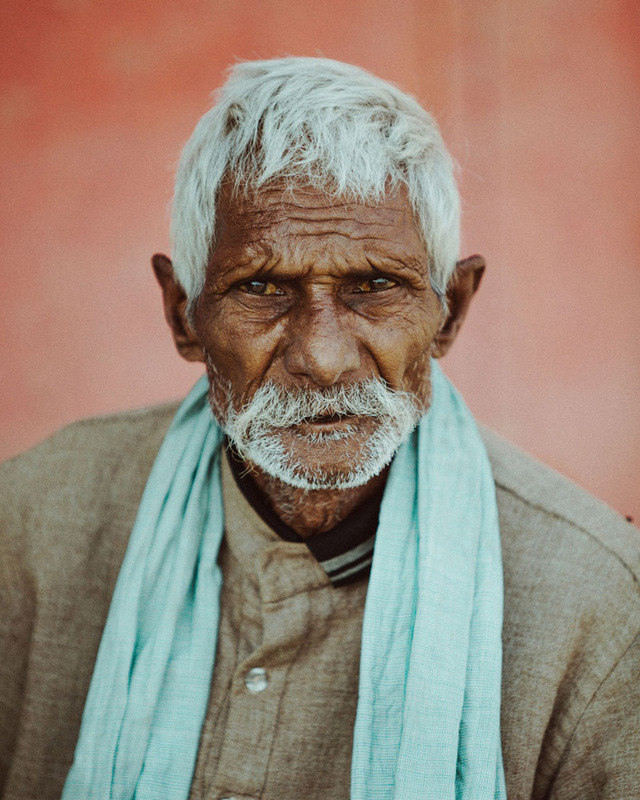 For a moment I thought all of India was the same, but coming from Delhi Varanasi’s Old City quarters were a stark change. There was, however, the bluster of India’s traffic here as well. Honking horns at all hours of the day was music in the streets. The best words to describe this would be “harmonized chaos” (thanks, Mel). It’s mayhem that somehow works, but was tiring to watch. From the train station we avoided all the hassle and walked a couple of blocks out to grab our rickshaw. As mentioned above, the Old City was a maze of tight streets where it was necessary to squeeze yourself around cows and avoid their dung. To find hotels, shops, and bakeries, we looked for their names painted on the building walls like signs; some were worn so badly it took several minutes of deciphering to figure them out. The Ganpati Guesthouse was our stop and for $10 per night, we had the best view in the house! The view out onto the Ganga stretched endlessly like two points in space. I remember leaning out over the balcony to take in the beauty and closing my eyes, I could hear kids playing in the ghats below. 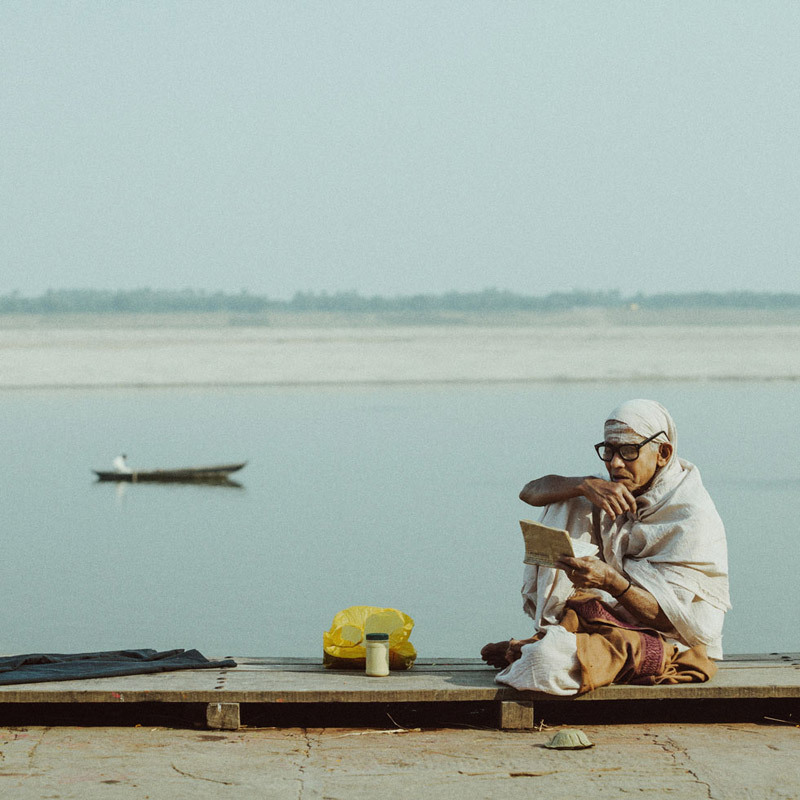 Our time in Varanasi was full of these moments—ones you breathed in slowly, deeply.